Creating fiber art through quilting allows me to stretch my artistic talents with all the possibilities of fabric while also enjoying the calming, meditative effects of stitching. I capture moments in time—a flower at the height of its bloom or the split second when an animal is still. 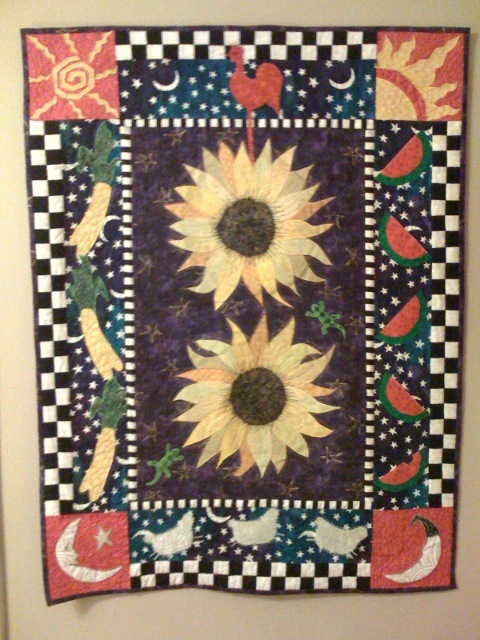 Although this isn’t a great picture, this is one of my favorite quilts. It was done by my sister Patty a few years back. 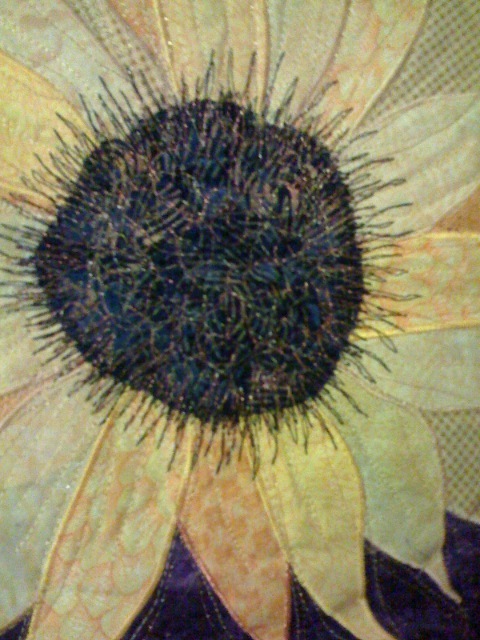 Here is a close up of one of the sunflowers. Patty used a very innovative approach to the center of the flower….fabric is bunched and stitched with all types of threads. This entry was posted in Uncategorized by Karen. Bookmark the permalink.